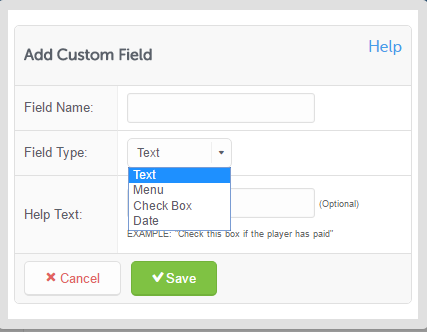 This article covers how to add custom fields that will be displayed on your player profiles. Team administrators with teams on the Premium plan or higher have the option to create flexible custom fields to capture roster information that isn’t already baked into the system. Go forth and create!